The purpose of restoring your photographs is to give them their original look, damaged with time. 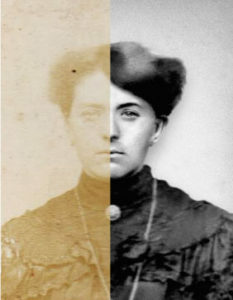 Photograph restoration includes a set of actions and procedures. The purpose of said set is to give its original aspect to an old photograph. Reviving old photographs requires a know-how established according to the technique and features of the photograph on wants to restore back to life. The photograph type is a crucial element in the process of photograph restoration. There is 3 types of photographs: Sepia, Black&white, and Colour. In it’s early days, Sepia photo, used squid ink. It was used mainly for it’s durability. A lot of old photographs, such as 1700’s portraits, are today in relative good shape. Sulphur, used in the chemical process converting the silver of photograph, makes this type of photograph the most lasting of all. That said, when working on restoring a sepia photograph, one needs to take into account numerous and various degradations. The flaws created come mainly from brow scales made by the toning of sepia colour. -Cracks, most of the time due to a too thin paper, or having been stored in a damp space. -Dust, incrusted in the photo because of dampness. -Mould, also produced from dampness. Old black&white photo was created more recently than sepia toning. It is dated from 1926. It is a relatively old photograph, its degradation is progressive. Even though it is more recent, the reasons for its worsening state are different, but take as a all still are linked. To restore a B&W photograph there is many phenomenon causing the photos wear-and-tear, they need to be studied and taken into account. The type of paper used when developing the picture is of a great importance. If it is poor quality paper, the strength of the photograph is mediocre. Cracks can damage bits by bits parts of the photograph. Old colour photo began to be popular in the 1950’s. This type of photograph took a bit of time to really spread itself, it only differentiate itself from B&W photo in the mid sixties. 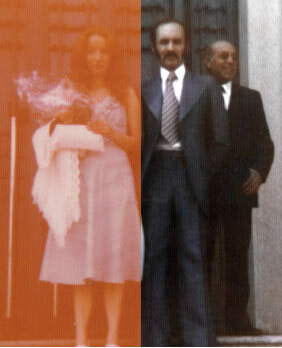 To restore these photographs colour is a major parameter. Besides degradation found in B&W photo, other corrections are in order. The colours frequently get damaged, and sometimes it is not an easy fix. They can lose their balance, fade away, get saturated, erase themselves, etc. Colour management is important, crucial, to restore the photographs to balance the colour harmony. 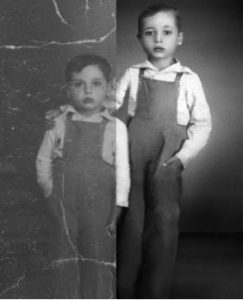 Knowing how old a photograph is can be important in photo restoration. For instance with erased elements, clothes, or background, having an approximate date allows to get as close to reality as possible. Also, during photography colorisation, it is of a capital importance to estimate the clothes colour. Defining the date/ the place of the photograph is a quite tricky exercise, not always obvious, but possible non the less. 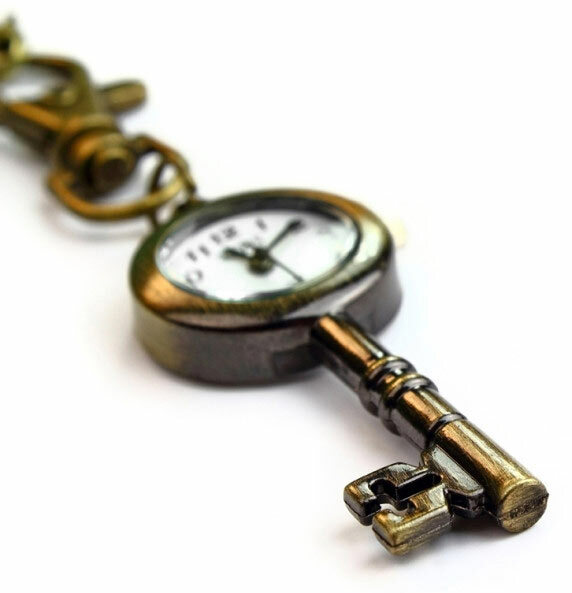 It is mainly guessing work, looking for clues in clothes, fashion accessories, hairdos,and places. For the physical aspects of the picture, the format, conception, typeface, size and colour are elements that can be quite interesting. HOW TO RESTORE A PHOTOGRAPH? Before we even begin to restore a photograph, we need to do some photo editing work. It is the essential step, taking place just before restoration. It allows us to change parameters such as colours, brightness/contrast, the shade, saturation etc. It is after his step that restoration work begins. Taking into account that each and every photograph is unique. They can be in different states of deterioration, have different decors, lightning, paper type, etc. Tools and set ups are never used the same way. Photograph fixing requires balance between technique and sensibility. You wish to restore your photograph? 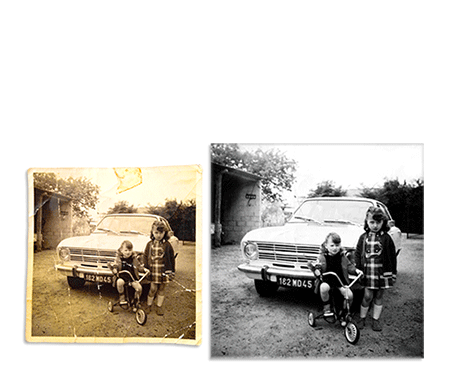 Phenis Photo offers you a complete restoration of your photograph !